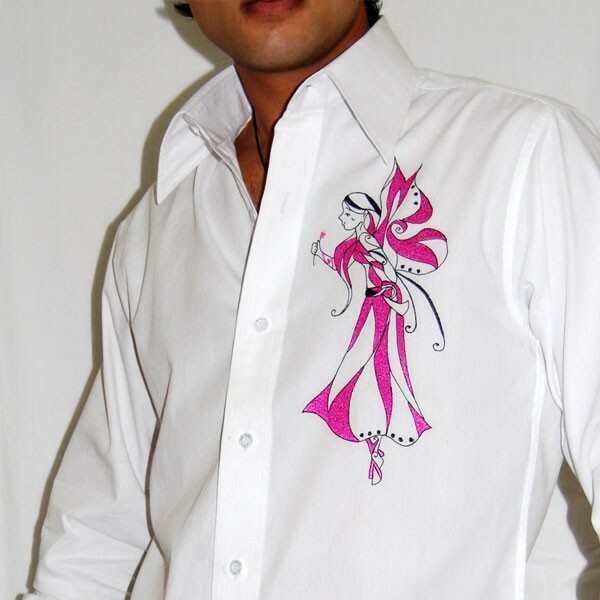 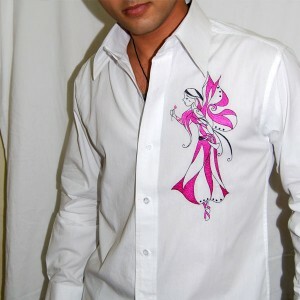 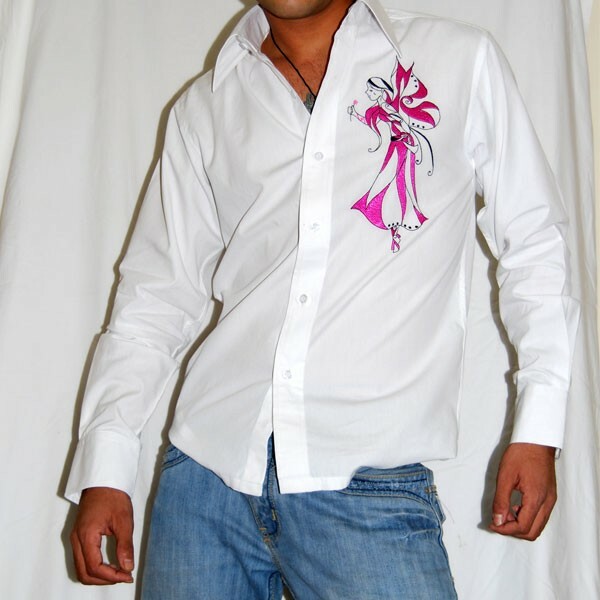 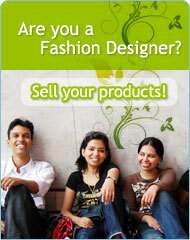 The pure white cotton shirt flaunts a charming fairy artistically embroidered on left front panel. 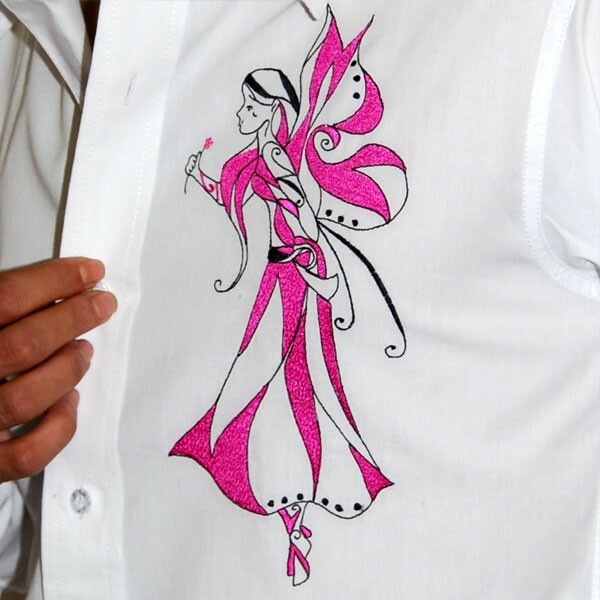 The fairy is first outlined with black silkened thread and then filled with charming pink shade. 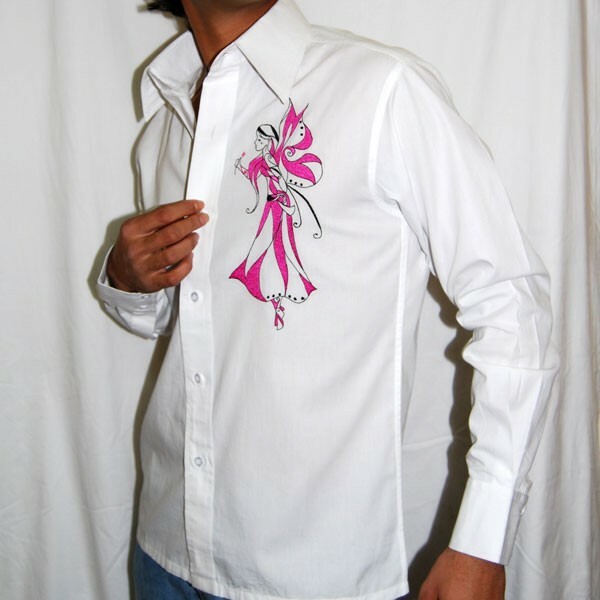 The shirt is plain in the back and has translucent buttons.